Wi-Fi routers may not be the most instantly recognisable or attention-grabbing computing device, yet they play a pivotal role in managing internet traffic, facilitating the connection of multiple wireless devices over a home network. Amid the ongoing rollout of the Ultra-Fast Broadband (UFB) program, the role of the router has become increasingly important, and having the right technology in place will ensure that households can take advantage of faster internet speeds. For this reason, when it comes to upgrading to UFB, consumers should take the time to acquaint themselves with the role that the router plays in their home network, and determine if their current router is up to the task. 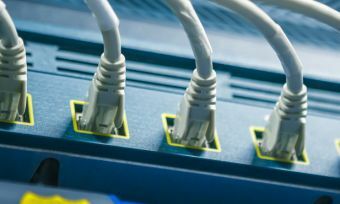 Routers may be combined with modems in a single device, or sold as a standalone device that connects to a modem, acting as an interface between wireless devices, such as a smartphone or laptop, and the modem. Networking company Linksys describes a Wi-Fi router as being “the gatekeeper to your wireless connection”, advising that the router “takes the wired internet connection coming from your modem and transforms it into a wireless signal”. Wireless technology continues to evolve, and new routers are being released to market, decked out with a range of features and designed to work in conjunction with next-gen smart devices, with consumers having a variety of options to choose from when setting up or upgrading their home network. Wi-Fi networks are becoming increasingly populated amid the soaring growth of the category of connected devices known as the Internet of Things, with it not just computers, smartphones and tablets that are logging into networks. A range of devices and appliances are now being released with in-built Wi-Fi connectivity as a standard feature, from kitchen and laundry appliances, to home security systems, to smart TVs and smart speakers – and all of these devices are cumulatively creating an additional wireless load. Earlier this year, information technology research and advisory company Gartner forecast that 8.4 billion connected things will be in use worldwide this year, up 31 per cent from 2016 – by 2020, Gartner has forecast that 20.4 billion connected things will be in use worldwide. While the amount of devices connecting to the internet in the average home is rising, the services that consumers are accessing are also becoming more internet-intensive, such as high-definition and 4K video streaming, which is in turn placing additional demands on wireless networks. Of course, internet usage will vary from one household to the next, and householders should weigh up their specific wireless needs, with it also important to keep in mind what your future home network may look like in determining the right router to cater for your household’s requirements. Time to upgrade: What should your router requirements be? To fully take advantage of the high-speed internet on offer via UFB, and to cater for a growing ecosystem of wireless devices, from laptops to tablets to smartphones and smart appliances, it may be time to upgrade to a new router. If your router is not equipped to deal with the sort of speeds on offer under a UFB plan, it will inhibit wireless performance, and householders should keep in mind both their wireless speed and range requirements in the context of the devices that are connecting to their home network. As a starting point, it is worthwhile confirming with your internet service provider that your current router is up to scratch, and determining that your home network settings across the board are configured to deliver optimised internet access. When it comes time to upgrading your router, keep in mind that wireless standards are constantly evolving, and if your router doesn’t support the latest standards, you may not be utilising the range of devices on your home network to their full effect. The current wireless standard is termed 802.11ac (also sometimes referred to as wireless-ac), which is a step up in terms of speed from its predecessor, the 802.11n standard, and which is backwards compatible with previous standards, and which operates on the 5 GHz band. Routers are commonly available in single-band (2.4 GHz), dual-band (2.4 GHz and 5 GHz) and tri-band (2.4 GHz and two x 5 GHz) configurations, with the more bands a router has, the greater its ability to help alleviate wireless congestion. Heavy internet users and households with many users logging in at once may well be best served by a tri-band router, while a dual-band router may be a suitable option for lighter users. Of course, in addition to the router technology itself, householders should take care to centrally position their router and avoid obstacles as much as is possible, ensuring the best possible signal over the intended wireless coverage area. Householders seeking to cover a large distance may also consider a range extender, which will work in conjunction with a router to expand the reach of a wireless network. Mobile app support may also be a consideration, helping to manage a network, while it should also be kept in mind that Ethernet ports will allow for wired connections (such as for a desktop computer) in addition to the wireless network. The following is a selection of routers currently available and some of their respective features. Google launched Google Wi-Fi in New Zealand earlier this year, describing it as “a new kind of home Wi-Fi solution that gives you strong, reliable coverage, in every room”. Google Wi-Fi, which features AC1200 2×2 Wave 2 Wi-Fi and simultaneous dual-band Wi-Fi (2.4 GHz/5 GHz) supporting IEEE 802.11a/b/g/n/ac connectivity, and which comes with two Gigabit Ethernet ports per Wifi point, employs Wi-Fi mesh technology. 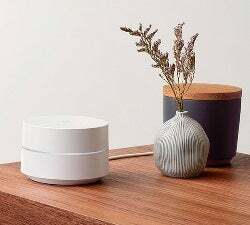 Google states that Google Wi-Fi’s Network Assist provides for users to always be connected to the fastest Wifi point, placed on the least congested channel, and uses the fastest band for devices, while the Google Wifi app helps to manage a network. Google Wi-Fi is expandable, with users able to add more Google Wifi points as they need them. 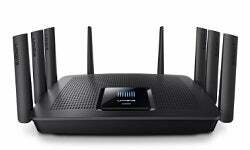 Linksys states that its EA9500 Max-Stream AC5400 MU-MIMO Gigabit Wi-Fi Router is “designed as a dual-purpose home office and entertainment Wi-Fi router”, with it delivering “Wi-Fi to multiple users on multiple devices at the same time and same speed”. The EA9500 is decked out with tri-band Wi-Fi, providing combined speeds of up to 5.3 Gbps, and MU-MIMO (multi-user, multiple-input, multiple-output) technology for interaction with multiple devices simultaneously. “High-bandwidth applications like videoconferencing and movie streaming are ideal for the two high-speed 5 GHz bands, while lower-bandwidth devices like older wireless-n and -g computers can utilise the 2.4 GHz band,” Linksys advises. The EA9500’s eight adjustable external antennas “provide powerful streams of data to your devices”, while beamforming “directs Wi-Fi signals to each of your mobile devices”, enhancing signal strength and coverage. When linked with a Max-Stream Range Extender, Linksys states that Seamless Roaming provides for enabled wireless devices to “automatically switch to the strongest Wi-Fi signal”, with users not needing to manually connect to the router or range extender when moving around. The EA9500 is also decked out with eight Gigabit Ethernet ports and two USB ports, including a USB 3.0 port, while the Linksys Smart Wi-Fi app allows for users to remotely monitor and manage their home Wi-Fi via a smart device.